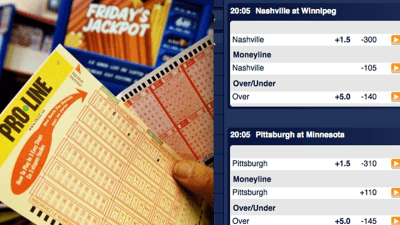 Although we now prefer betting online to get better odds as well as the ability to bet one game at a time, we’ll still occasionally buy Proline tickets – with the expectation of making money. 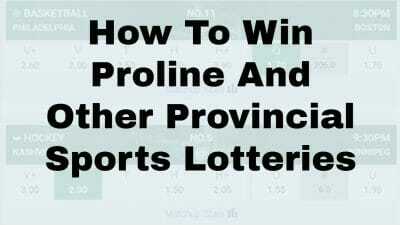 In this article, we’ll explain how following these 9 simple Proline betting tips will enable you to do the same. 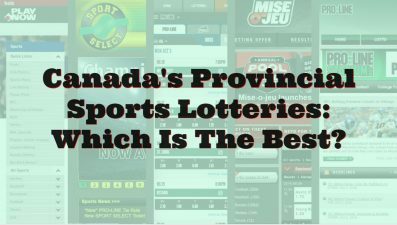 An outdated website, limited betting selection and low-paying odds explain why we rank Sport Select fourth out of the five provincial sports lotteries in Canada. Many Canadians grumble that Ontario gets preferential treatment from the government. But that’s definitely not the case when it comes to their provincial sports lottery. We review Atlantic Canada’s provincial sports lottery, comparing it to other provinces as well as to online sportsbooks. Good news, east coast residents: it stacks up pretty well. Which Canadian Provincial Sports Lottery Is The Best? This review of BCLC PlayNow.com and PlayNow Manitoba explains why we rank them as the best sports lottery in Canada. Proline NFL parlay odds can look pretty good at first — until you remember the Proline tie rules. 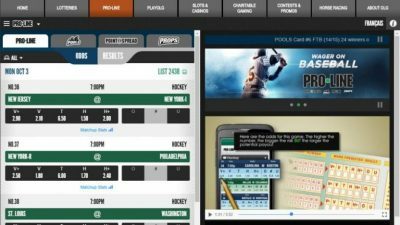 Proline may seem like the easiest way for Canadians to bet on sports, but it comes with many disadvantages. Here’s a baker’s dozen of them. You still need to bet a parlay, but there are times you can find better NCAA basketball betting odds on Proline than at sportsbooks. © Copyright 2018 All Rights Reserved. 18+ and BeGambleAware. Get our FREE winning picks delivered to your inbox as soon as they are posted. No strings attached. Start winning more bets now! We hate SPAM too. We'll never share your email with third parties.